This is a Korean name; the family name is Kim. Kim Dong-wan in September 2018. Kim Dong-wan (hangul: 김동완; born 21 November 1979) is a South Korean entertainer, known as a member of South Korean boy band Shinhwa. He has been acting since 2002, with roles in television dramas such as A Farewell to Sorrow and Children of Heaven. He has said that given the opportunity he would prefer a career in acting rather than as a singer,  However, since the release of his debut album, he has stated that now he prefers singing more. From Shinhwa, Kim is the fourth member to go solo, following Lee Min-woo, Shin Hye-sung, and Jun Jin. The Korean alphabet, known as Hangul, has been used to write the Korean language since its creation in the 15th century by King Sejong the Great. It may also be written as Hangeul following the standard Romanization. A boy band is loosely defined as a vocal group consisting of young male singers, usually in their teenage years or in their twenties at the time of formation, singing love songs marketed towards young women. Being vocal groups, most boy band members do not play musical instruments, either in recording sessions or on stage, making the term something of a misnomer. However, exceptions do exist. Many boy bands dance as well as sing, usually giving highly choreographed performances. Shinhwa is a South Korean six-member boy band based in Seoul, composed of Eric Mun, Lee Min-woo, Kim Dong-wan, Shin Hye-sung, Jun Jin, and Andy Lee. Launched by SM Entertainment on March 24, 1998, the group signed with Good Entertainment in 2004 before creating their Shinhwa Company to manage their career as a band. The band struggled initially with their first album before finding commercial success with their sophomore album T.O.P.. When their contract with SM Entertainment expired in July 2003, all six members signed with Good Entertainment and assumed creative control with the release of Brand New. That same year, members began to pursue individual careers. The lead vocalist in popular music is typically the member of a group or band whose voice is the most prominent in a performance where multiple voices may be heard. The lead singer either leads the vocal ensemble, or sets against the ensemble as the dominant sound. In vocal group performances, notably in soul and gospel music, and early rock and roll, the lead singer takes the main vocal part, with a chorus provided by other band members as backing vocalists. Brand New is the seventh studio album of South Korean boy band Shinhwa. It was released on 27 August 2004 by Good Entertainment. It is their first album since leaving SM Entertainment and signing with Good Entertainment. The four lead tracks are "Brand New", "Angel", "Crazy" and "Oh". Eric Mun is a South Korean singer and actor. He is a member and leader of the South Korean boy band Shinhwa. He is also well known for several dramas such as Phoenix (2004), Super Rookie (2005) and Another Oh Hae-young (2016). He was with Top Class Entertainment from 2007 to December 2013. In 2014, Mun and his manager of 10 years, Lee Jong-hyun, set up a new management agency, E&J Entertainment, for his individual activities. Mun is also the CEO of Shinhwa Company, the home agency of his group, with Lee Min-woo as co-CEO since 2011, and with the remaining members—Kim Dong-wan, Shin Hye-sung, Jun Jin and Andy Lee—as shareholders. A flood is an overflow of water that submerges land that is usually dry. In the sense of "flowing water", the word may also be applied to the inflow of the tide. 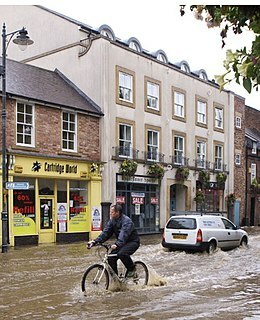 Floods are an area of study of the discipline hydrology and are of significant concern in agriculture, civil engineering and public health. Shin Dong-hyun, better known by his stage name MC Mong, is a South Korean hip hop recording artist, composer, radio personality, actor and television personality who is known for his comic disposition and his upbeat songs. He is one of the most commercially successful hip hop artists in Korea. He gained popularity in the early 2000s as an actor on the sitcom, Nonstop, before releasing his debut album, 180 Degree, in 2004. He was also a cast member of the variety show, 2 Days & 1 Night from 2007 to 2010. He was charged in 2010 with draft dodging, after which he was banned from appearing on major Korean broadcast networks. His 2014 comeback album, Miss Me Or Diss Me, topped music charts upon its release. Plastic surgery is a surgical specialty involving the restoration, reconstruction, or alteration of the human body. It can be divided into two categories. The first is reconstructive surgery which includes craniofacial surgery, hand surgery, microsurgery, and the treatment of burns. The other is cosmetic or aesthetic surgery. While reconstructive surgery aims to reconstruct a part of the body or improve its functioning, cosmetic surgery aims at improving the appearance of it. Both of these techniques are used throughout the world. Kim released his debut solo album, Kimdongwan Is, on July 5, 2007, which featured collaborations with his fellow Shinhwa members, including Lee Andy rapping in the song "Loving Summer", Shin Hye Sung singing a duet with Kim in "The One Left Alone", and Eric rapping in "My Love". The other members have contribute to the album as well, with Lee Min Woo writing, composing and arranging the song "My Love," and with Jun Jin helping him with choreography. Kim expressed gratitude for their contributions, saying, "I’ve been working together with the group Shinhwa, thus there was a lot of pressure working on the solo album, but since the other members showed up and helped me with most of it, it has been a great big help for me". Kim's first single was the ballad, "Handkerchief", a song about a guy who consoles his girlfriend and wipes away her tears. Despite Shinhwa's genre in music like American R&B and bubblegum pop, Kim said he wanted his album to be more J-pop influenced, having redone a song by Glay and Exile in the album. Bubblegum pop is a genre of pop music with an upbeat sound contrived and marketed to appeal to pre-teens and teenagers, which may be produced in an assembly-line process, driven by producers and often using unknown singers. Bubblegum's classic period ran from 1967 to 1972. A second wave of bubblegum began two years later and ran until 1977 when disco took over. J-pop, natively also known simply as pops, is a musical genre that entered the musical mainstream of Japan in the 1990s. Modern J-pop has its roots in traditional Japanese music, but significantly in 1960s pop and rock music, such as The Beatles and The Beach Boys, which led to Japanese rock bands such as Happy End fusing rock with Japanese music in the early 1970s. J-pop was further defined by new wave groups in the late 1970s, particularly electronic synth-pop band Yellow Magic Orchestra and pop rock band Southern All Stars. For the debut album, Kim also lost a lot of weight, saying that "it's not good for a ballad singer to have a muscular image. Someone singing ballads should have a lean, 'hungry-looking' image." His album sold over 25,000 copies in two days, with 41,490 copies sold by the end of 2007, allowing it to rank 19th for the year. In 2008, he released his 2nd solo album, The Secret; Between Us. The album featured collaborations with Tiffany of SNSD, Jade Valerie, Shinhwa bandmate, Eric and Heritage. Upon being discharged Kim joined Shinhwa bandmate Shin Hye-sung at Liveworks Company and has since played the lead role of Hedwig in theatrical musical Hedwig and the Angry Inch at Sang Sang Art Hall in Seoul. In August 2011, Kim played the role of Korean independence activist, Lee Youk-sa in MBC two-part special drama, The Peak, also known as Life of Lee Youk-Sa, the Poet who Embraced Epoch. It was broadcast on Korea's Liberation Day, 15 August 2011. Lee Youk-sa was a poet, during Japanese Colonial Period, who died in prison at the age of 40, leaving a collection of some 40 works of poetry. Lee Sun-ho, mononymously credited as Andy (Hangul: 앤디), is a South Korean rapper and the youngest in the six-member boy band Shinhwa. Besides rapping for his band, Andy has ventured out into television acting, musicals, and solo singing. Andy is also the producer of duo Jumper and boy bands Teen Top, 100% and UP10TION. Shin Hye-sung (Hangul: 신혜성; Hanja: 申彗星 is a South Korean singer-songwriter. He is best known as a member of the South Korean boy group Shinhwa. The main vocalist of Shinhwa, he debuted as a solo artist in 2005 and has since released multiple albums in both Korean and Japanese. Jun Jin is a South Korean singer, actor and entertainer, known as a member and rapper of six-member boy band Shinhwa. He debuted as a dancer and rapper in Shinhwa in 1998 but started singing small parts in 2002; the release of Shinhwa's fifth album. He debut as a solo artist in November 2006 with single Love Doesn't Come. The South Korean boy band Shinhwa has released fifteen studio albums, three live albums, five compilation albums, one box set, three EPs, thirty-four singles, and sixteen contributions to multi-artist compilations. Lee Yeon-hee is a South Korean actress. She is most known for her work in the television series East of Eden (2008), Phantom (2012), Miss Korea (2013), The Package (2017); and in the films A Millionaire's First Love (2006), M (2007) and Detective K: Secret of the Lost Island (2015). Im Jin-ah, known professionally as Nana, is a South Korean singer, actress and model. She is a member of the South Korean girl group After School and its subgroup Orange Caramel. A Gentleman's Dignity is a 2012 South Korean romantic comedy television series starring Jang Dong-gun, Kim Ha-neul, Kim Su-ro, Kim Min-jong, and Lee Jong-hyuk. It aired on SBS from May 26 to August 12, 2012 on Saturdays and Sundays at 21:55 for 20 episodes. The Return is the tenth studio album of South Korean boy band Shinhwa, in commemoration of their 14th anniversary. It was released on 23 March 2012 by Shinhwa Company and distributed by CJ E&M Music. The album and its associated concerts, 2012 Shinhwa Grand Tour: The Return, marks their comeback to the music industry after a four-year hiatus, since their 10th anniversary concert and album Volume 9 in 2008, during which band members served individual mandatory military services. Ryu Tae-joon is a South Korean actor and singer. Shinhwa Broadcast is a South Korean variety television programme broadcast on general service cable channel JTBC. It is hosted by six-member boy band Shinhwa: Eric Mun, Lee Min-woo, Kim Dong-wan, Shin Hye-sung, Jun Jin and Andy Lee. The weekly programme premiered on 17 March 2012, and airs on Sundays at 23:00. The show went on hiatus after the 16 June 2013 broadcast and it returned on 3 November 2013 with a new format for season two. As of 8 December 2013, 65 episodes in two seasons have been broadcast. Lee Sang-yeob is a South Korean actor. He is best known for starring in the sitcom I Live in Cheongdam-dong (2011), the melodrama The Innocent Man (2012), the period drama Jang Ok-jung, Living by Love (2013), and the fantasy drama While You Were Sleeping (2017). Lee was cast in his first leading role in the weekend drama Give Love Away (2013). The Classic is the eleventh studio album of South Korean boy band Shinhwa, in commemoration of their 15th anniversary. It was released on 16 May 2013 by Shinhwa Company and distributed by CJ E&M Music. The group conducted an Asian concert tour, 2013 Shinhwa Grand Tour: The Classic in support of the album, with the first show in Hong Kong on 8 June 2013. 2013 Shinhwa Grand Tour: The Classic was the Asia-wide live concert tour of South Korean boy band Shinhwa in support of their eleventh studio album, The Classic, which was released on 16 May 2013. This is a list of videography by South Korean six-member boy band Shinhwa. Formed in 1998 under SM Entertainment, it consists of Eric Mun, Lee Min-woo, Kim Dong-wan, Shin Hye-sung, Jun Jin and Andy Lee. They moved to Good Entertainment in July 2003, upon the expiration of their contract. In 2011, after a four-year hiatus, during which they served individual mandatory military services, they formed the Shinhwa Company to continue to perform together. This list the official music videos released by SM Entertainment, Good Entertainment and Shinhwa Company. Shin Hye-sung, lead vocalist of the Korean boyband Shinhwa, has had a solo singing career concurrent with his Shinhwa activities since 2005. His discography consists of seven Korean-language studio albums, one Japanese-language studio albums, and two compilation albums, one each released in Korea and in Japan. He also released re-recordings of six of his previous duets with new singers in 2014, as part of his "Once Again" project, as well as recorded 12 songs for soundtracks. Lee Min-woo, under the name "M", has been a solo singer since 2003, and a member of Korean boyband Shinhwa since 1998. His solo material covers 4 studio albums, 3 EPs, one live album, and one single. Cheer Up, Mr. Kim! is a 2012-2013 South Korean television series that aired on KBS1 from November 5, 2012 to April 26, 2013 on Mondays to Fridays at 20:25 for 124 episodes. It starred Kim Dong-wan in the title role of Mr. Kim, a male housekeeper who becomes the guardian of four children. Cleo (Hangul: 클레오) was a three-member South Korean girl group, formed in 1999. They were one of the original Korean idol girl groups and were active at the same time as Fin.K.L and S.E.S. Their debut song "Good Time", from their first studio album, was very successful. The group's second album, released in 2000, was also successful and included the songs "Ready For Love", "Always in My Heart", and "Mosun". Cleo's third album, which included the song "Triple", was released in 2001. Their fourth album was released in 2003, included the tracks "Donghwa" and "S.P.Y". Their fifth album, Rising Again, was released in 2004 and included the song "In and Out". The group disbanded in 2005. ↑ "Shinhwa’s Kim Dong Wan to Star in KBS Series" KBS Global. 8 June 2005. Retrieved 2006-12-13. ↑ "[Interview - Part I] Kim Dong Wan Wants to be a Real Actor". Mnet Global. July 8, 2012. ↑ "Way Back Wednesday: Shinhwa". allkpop.com. April 5, 2012. ↑ Korean Stars Praised for Generosity in Japan. KBS Global, August 14, 2006. Retrieved on December 13, 2006. ↑ "Kim Dong-wan’s Surprising Plastic Surgery Confession", KBS World, April 16, 2007. Retrieved on May 5, 2007. ↑ Garcia, Cathy Rose A (2006-06-21). "Shinhwa Members Go Solo This Summer". The Korea Times. Archived from the original on 2007-06-28. Retrieved 2007-06-21. ↑ "2007 Year-end Sales". Recording Industry Association of Korea. 2006-07-18. Archived from the original on 2008-05-08. Retrieved 2008-03-18. ↑ 신화, 섬뜩한 뱀파이어 변신…23일 10집 발매. Nate News (in Korean). 17 March 2012. Retrieved 2012-03-19. ↑ "Shinhwa to release upcoming 10th album on March 23". 10 Asia. 16 March 2012. Retrieved 2012-03-26. ↑ Hong, Lucia (1 February 2012). "Shinhwa releases teaser video for upcoming concert". 10 Asia. Retrieved 13 December 2012. ↑ Suk, Monica (26 March 2012). "CONCERT REVIEW: Shinhwa: Reborn with The Return". 10 Asia. Retrieved 13 December 2012. ↑ Park, HyunMin (4 March 2012). "Shinhwa to have Shinhwa Broadcast". Mnet News. CJ E&M. Retrieved 12 November 2012. ↑ Chung, Hyun-mok (16 July 2012). "Kim Dong-wan sees great success at box office". Joongang Daily. Archived from the original on 3 January 2013. Retrieved 1 October 2012. ↑ Oh, MiJung (20 June 2012). "Kim Dong Wan Opens Up on ′Deranged′, Shinhwa and Kim Myung Min". enewsWorld. CJ E&M. Retrieved 27 June 2012. ↑ Hong, Grace Danbi (27 August 2012). "Shinhwa's Kim Dong Wan Chosen as Main Lead for Cheer Up, Mr. Kim". enewsWorld. CJ E&M. Retrieved 28 August 2012. 1 2 Jun, Ji Young (2 January 2013). "2012 KBS Drama Awards". KBS Global. Retrieved 7 January 2013. ↑ "Shinhwa's Dongwan Has Donated $33,660 Towards Nepal Earthquake Relief Fund" . Retrieved 10 August 2015. ↑ "김동완 1집 - Kimdongwan Is". Hanteo (in Korean). Archived from the original on 26 February 2015. Retrieved 26 February 2015. ↑ "김동완 1집 - Kimdongwan Is[repack.]". Hanteo (in Korean). Archived from the original on 26 February 2015. Retrieved 26 February 2015. ↑ 2007.총결산 판매량. Recording Industry Association Korea (in Korean). Archived from the original on 16 December 2008. Retrieved 24 February 2015. ↑ "2007. 7 월 - 가요음반 판매량". Recording Industry Association Korea (in Korean). Archived from the original on 2 May 2009. Retrieved 24 February 2015. ↑ "김동완 2집 - The Secret". Hanteo (in Korean). Archived from the original on 26 February 2015. Retrieved 26 February 2015. ↑ "김동완 2집 - The Secret: Between Us Part Ii[repack.]". Hanteo (in Korean). Archived from the original on 26 February 2015. Retrieved 26 February 2015. 1 2 "2008. 5 월 - 가요음반 판매량". Recording Industry Association Korea (in Korean). Archived from the original on 12 November 2008. Retrieved 24 February 2015. ↑ "Shinhwa's Kim Dong Wan Makes Solo Comeback With "I'm Fine" MV". Soompi. Retrieved 27 October 2015. ↑ "국내 대표 음악 차트 가온차트!". gaonchart.co.kr. Retrieved 2015-12-20. ↑ "KIM DONGWAN JAPAN PREMIUM BEST(初回限定盤)". Oricon (in Japanese). Retrieved 24 February 2015. ↑ 김동완 - 약속. Hanteo (in Korean). Archived from the original on 26 February 2015. Retrieved 26 February 2015. ↑ "My Summer Girl(初回限定盤)". Oricon (in Japanese). Archived from the original on 26 February 2015. Retrieved 26 February 2015. ↑ "My Summer Girl". Oricon (in Japanese). Archived from the original on 26 February 2015. Retrieved 26 February 2015. ↑ "My Summer Girl(初回限定盤)". Oricon (in Japanese). Retrieved 24 February 2015. ↑ "김동완 - He". Hanteo (in Korean). Archived from the original on 26 February 2015. Retrieved 26 February 2015. ↑ "김동완 - He_starlight". Hanteo (in Korean). Archived from the original on 26 February 2015. Retrieved 26 February 2015. ↑ "김동완 - 약속: 첫번째 라이브 콘서트(SRN)[사진집 포함]". Hanteo (in Korean). Archived from the original on 26 February 2015. Retrieved 26 February 2015. ↑ Suk, Gee-hyun (12 June 2013). "Top 7 successful idol-turned-actors". Korea Herald. Retrieved 13 June 2013. ↑ Hee, Sul-hee (21 August 2017). "김동완 측 "tvN 단막극 '소풍 가는 날' 출연 확정"". My Daily (in Korean). ↑ Kim, Gab-Sik (21 July 2004). ""Don't Underestimate Third-Rate": Overturning Life with a Spin Kick". Dong-a Ilbo. Retrieved 25 May 2013. ↑ Ho, Stewart (14 June 2012). "Shinhwa's Kim Dong Wan Transforms Into an Investigator for Upcoming Movie". enewsWorld. CJ E&M. Retrieved 16 June 2012. ↑ "2007 Mnet KM Music Festival Part1". MAMA. Retrieved 2014-12-14. ↑ An, So Hyoun (10 May 2013). "Yoo Jae Suk and Ryu Seung Ryong Take Home Daesangs at the Paeksang Arts Awards". enewsWorld. CJ E&M. Retrieved 10 May 2013. ↑ Lee, Hye Ji (10 May 2013). "2013 Paeksang Arts Awards: He Said, She Said". 10 Asia. Archived from the original on 3 July 2013. Retrieved 10 May 2013. Wikimedia Commons has media related to Kim Dong-wan .